Long-time Green Label collaborator Kevin Lyons releases his latest GLX collection, including a deck, t-shirt, hat and wallet done in conjunction with Girl skateboards. 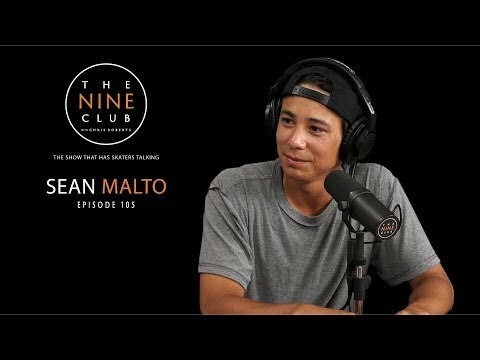 Because the line was designed with Girl rider Sean Malto in mind, he felt action sports and skateboarding were already covered—so he turned his focus towards music and art to make the line really embody Green Label. Girl Skateboards has partnered with Adobe to find four talented students to create a limited edition line of boards for their Spring 2015 catalog. Get creative and tag your best work on Behance with #madethis and #girlskateboards to be considered. All entrants and artists can tag their illustrations, photos, videos, graphic designs or whatever you got. Winners will be picked on Oct. 13. For more info on how to apply, go to www.adobe.com/students. Eric Koston, Sean Malto, Max Schaaf, Shane O’Neill, Tyler Bledsoe, Ishod Wair, Tony Trujillo, Brian Anderson, Mike Carroll and Cory Kennedy are removed from their daily routines and environments in America and head across the Pacific Ocean for a Fourstar team trip to Australia. Have a look as they meet up with Andrew Brophy to rip ride and entertain skateboarders down under, and have a good time. The Art Dump is the name adopted by the group of like-minded creative misfits who all work under the same flat roof in Torrance, CA. They are essentially Girl Skateboard Company’s full-time art department. Many talented artists have passed through the doors at Girl or lent their talents along the way during the past 20 years. Girl presents the Art Dump Alumni Series, bringing back ten artists for a curtain call to create special boards marking 20 years of Girl Skateboards: Michael Leon (Eric Koston), Kevin Lyons (Mike Carroll), Bob Kronbauer (Rick Howard), Geoff McFetridge (Guy Mariano), Misato Suzuki (Brandon Beibel), Bucky Fukumoto (Mike Mo Capaldi), Michael Coleman (Sean Malto), Tony Larson (Rick McCrank), Rob Abeyta, Jr. (Cory Kennedy) and Jordan Mitchell (Jeron Wilson). The Art Dump Alumni Series skateboards are available now at your local skate shop and at the Crailstore. Kevin Lyons, creative director, designer, illustrator, and founder of Natural Born, lists Urban Outfitters, Stussy, Nike and Tokion Magazine as well as a memorable stint at Girl from 1997 to ’99 among the brands he’s worked with. Kevin reflected on his time with Girl and why the company has been able to reach the 20-year mark in this short interview. How did you meet the Girl crew and come on board? Like many of us, I knew Bucky Fukumoto, and my friend, Geoff McFetridge, was already doing a project for Girl. I was at Nike at the time, and Rick Howard [of Girl] was working with Eric Koston and Guy Mariano on creating Fourstar. Creative Director Andy Jenkins reached out for me to work on Fourstar [Girl’s skate apparel company]. Rick was looking to make Fourstar something different than any other skate company out there … more athletic and really more like a RL Sport or Nautica, or Nike. Eric, Keenan, Mike … they were sneakerheads and played basketball. Some even went to the gym. They were true athletes and therefore wanted a different look from the industry norm. Most skate companies made black tees, a trucker hat, and some bad Vision knock-off shorts. I literally did my first season for Fourstar while still employed at Nike. What are your fondest memories of your time at Girl? I think the whole experience of developing Fourstar was insane. Rick and I were both trying to do real legit cut and sew for the first time and then the whole branding and identity and labeling and color palette. It was a real learning curve for us both. To start a company from scratch was super hard, yet a blast. I think my favorite part of working there were really the personalities and how funny everyone was. Tim Gavin and Mike Carroll. Hilarious. Keenan was always busting and funny. He and Guy would bring in the most insane samples of stuff they had just bought. At the time we were just trying to perfect a good basketball short, and these guys would come rolling in with a reversible Dri-Fit six-pocket puffy vest. Richard Mulder. Calloway, Meza. Rick and I spent a lot of time together rolling around to meetings in his Impala to bad industrial parks throughout Southern California just to find the right mesh for a short liner, but it was always funny and ridiculous. What did you take with you from Girl that you’ve used in later life? The Art Dump really, and the courage to go against the grain and an industry. But really it was the relationships. To be part of that brand and be a fellow alumnus of so many talented dudes over the years … priceless. What other artists did you work with while at Girl? At the time, we did not do a ton of artist collabs and we did not look that far outside the company. I mean Evan Hecox was just starting to do Chocolate boards and Geoff did two series. Mark Gonzales was part of Fourstar, but really the artists back then were Andy Jenkins and Mike Leon honestly. Why do you think Girl is still going strong after 20 years? It’s really because of Rick, Mike [Carroll], Meghan [Baltimore] and Andy Jenkins. They have kept Girl fresh by constantly introducing new skaters, new personalities, new companies, and tons of new artists and designers. There is no doubt about it. They have created a timeless environment of talent, skill, humor and fun centered on skateboarding. They have a key core of individuals who have driven the company, but yet they are constantly bringing on fresh faces to connect with each generation. It seems to me that they have never felt threatened by newness. They recognize that generations move quickly and the heroes and worlds change. I think their openness to allow for newness and change has made the company seem as relevant today as it was 20 years ago. I would put the Art Dump artist for artist up against any in-house design crew ever… plain and simple. Would be tough to beat.